Edwards County ILGenWeb is a free genealogical site about the history of the county. We hope you find helpful clues for your research of Edwards county ancestors. YOUR HELP IS NEEDED. Please contribute your pieces of Edwards county family history. Our combined efforts will make this a great site! Co-Coordinator: YOU? Edwards ILGenWeb needs a local co-coordinator to provide more helpful responses to queries. Are you familiar with the area? Do you have a family tree connection to the county? Are you experienced at researching in Edwards County? If your answer is "Yes" to any one of these questions, please volunteer to be a Co-Coordinator. Edwards County was created in 1814. The original boundries ran from where the Bompas enters the Wabash (near Grayville), west to the third meridian (near Mt. Vernon), and north to Canada, including portions of Wisconsin and Michigan. The country seat was Palmyra, near what is now Mt. Carmel and Patton in Wabash County, Illinois. 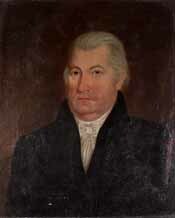 Edwards county was named in honor of the first governor (1809-1818) of the territory of Illinois, Ninian Edwards. Edwards ILGenWeb is hosted by Genealogy Village.